For this summer, is the hottest thing ever! This brand new tote bag will be the thing to get for this upcoming season. To walk in the beautiful hot sun with this brand new bag is so fabulous! Everyone is going crazy over already and it is not even the summer yet. 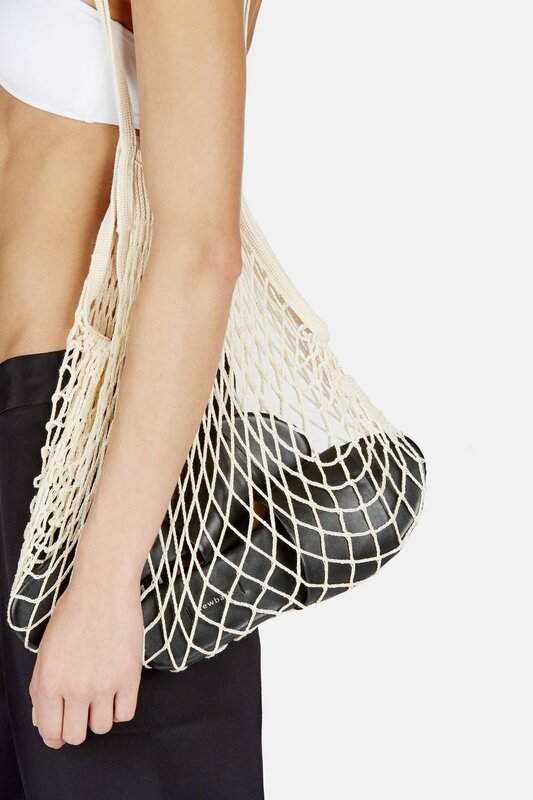 This brand new fisherman’s net bag is the future of all accessories. Ladies, this is the bag to get for the summer in order to have the luxurious vacation. The fisherman’s net bag did not just started off as a fashion bag that everyone love today. Instead, it started out as a fishing net for fisherman in France of 1855. That is right, French fisherman were happily catching fish like it was no tomorrow with this handbag in the old ages that everyone know of today. However, this French net automatically became a bag for groceries. Today, the ladies are happily using this fishing net as an accessory. This net bag is incredible. It is strong, cute, and stylish. 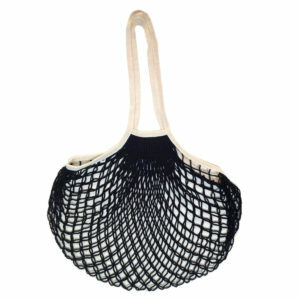 Who would of thought that a French fishing net would make a sensational tote bag for the summer? This tote bag is a total must have! What everyone can love about the fisherman’s net bag is that it can go with some nice summer attires. It can look great with nice earthy colors. It can also look incredible with basic colors. It can also look so amazing in a nice halter top sun dress. 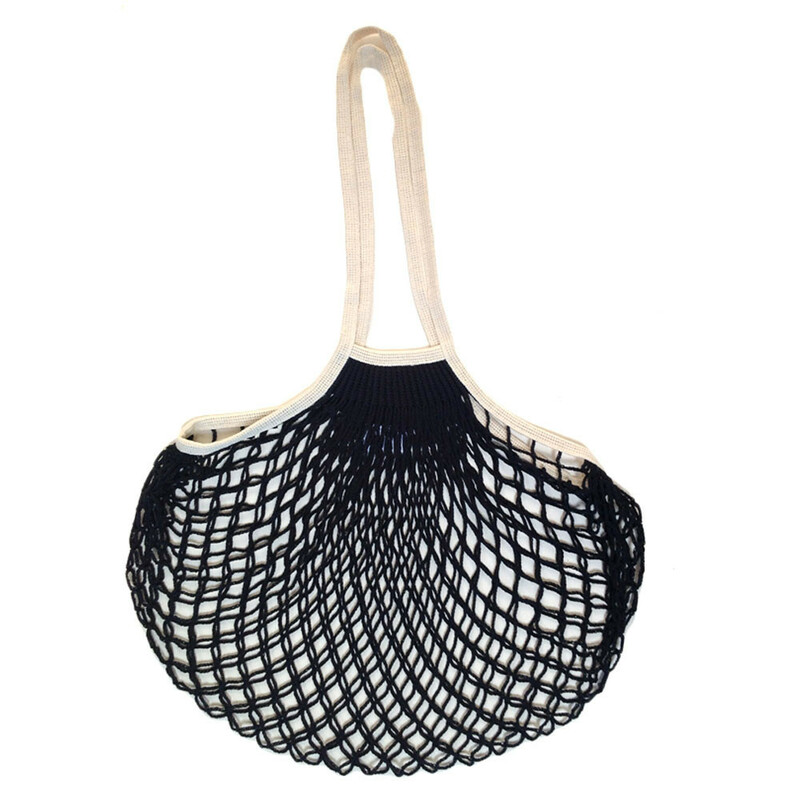 A fisherman’s net bag mainly comes in the color black, white, or natural. It is made out of cotton. The thing about this net bag is that a lady can have fun accessorize it with different summer attires for a great relaxation of vacation. That is what accessories are all about. They are about having fun with them when it comes to matching them with an attire. As soon as a lady get a fisherman’s net bag, the fun of clothing can start right away. The fisherman’s net bag is affordable for every lady out there that loves tote bags. This accessory is between five and eighteen dollars. Despite that this net bag is so cheap, it is worth it. It is fun and relaxing. The net bag speaks vacation when looking at it. It can make anyone want to relax and just love everything about the summer. It also speaks strength. 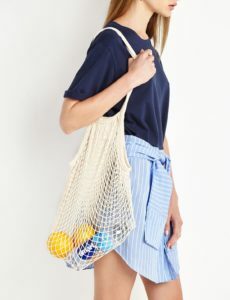 This net bag have no problem carrying anything. Whether the item is heavy or light, this net bag can handle it. This fisherman’s net bag will come in handy when it comes to shopping during vacation. Considering that it is so flexible, the net bag has no problem carrying everything in its power. With this net bag, a lady gets more than what she had bargained for. For this summer, a fisherman’s net bag will be the most glamorous thing ever! With its strength, style, and material, there is no wonder that everyone is going crazy over it. This 1855 French fishing net is today’s hottest tote bag. Make a summer vacation more fun filled with this accessory!